A KEY FINDING: EAP does not require special competence. It can be applied by local government and community collaborators. “The EAP demonstration application process has been a fruitful journey for the project team and collaborators. Along the way, our collective thinking evolved. We broke new ground with EAP. 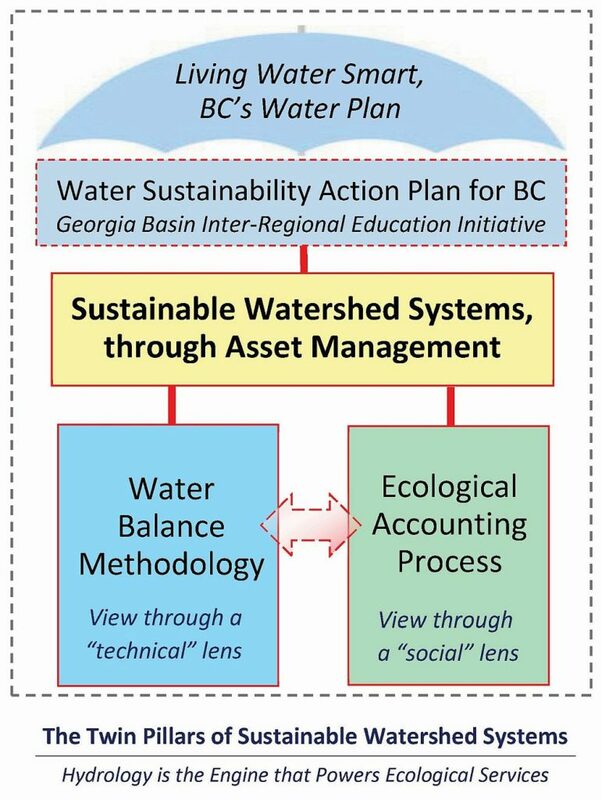 Insights and understanding that we gained are shared in the Primer on the Ecological Accounting Process. These insights led us to look at creeksheds differently. The importance of viewing choices through the ‘worth lens’ became clear. In the Primer, we define the ‘worth’ of a creekshed in terms of a package of ecological services made possible by the hydrology. “Every urban creekshed comprises a constructed commons and anatural commons (refer to image above). And each is a system. Moreover, the built and natural environments merit equal valuation. This holistic way-of-thinking is foundational to the EAP approach. It also provides a ‘point of departure’ for a fundamental shift in philosophy regarding how best to value natural assets,” continues Tim Pringle. “EAP is underpinned by a simple strategy: approach the problem from a social point of view. What does the community think its ecological assets and services (the natural commons) are worth? Worth will be reflected in investment of time, dollars and services to maintain and manage local ecological assets such as a stream and associated riparian areas. These are natural commons assets. To the extent that a community recognizes and wants to use and enjoy the ecological services, it would invest,” explains Tim Pringle. 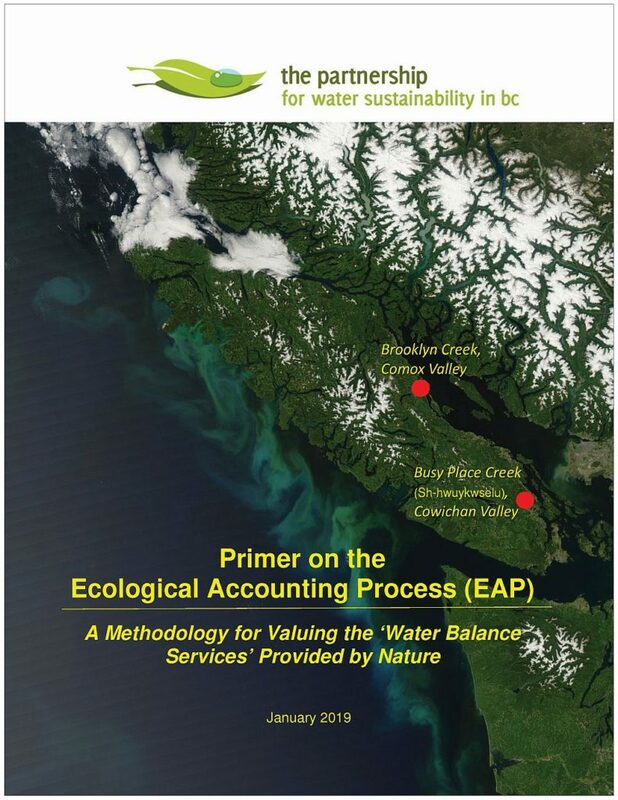 Download a copy of Primer on the Ecological Accounting Process (EAP) – A Methodology for Valuing the ‘Water Balance Services’ Provided by Nature.